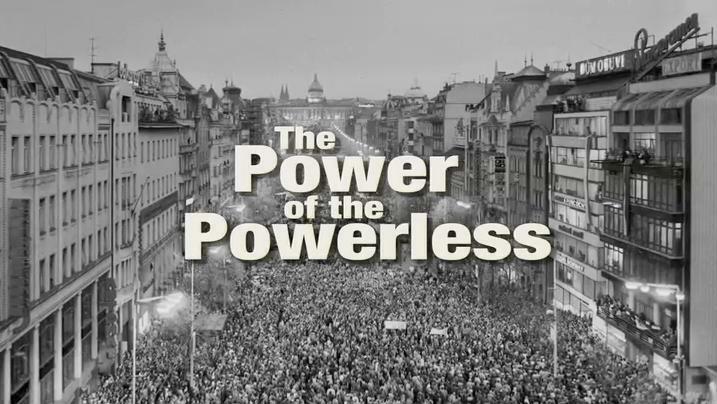 We've reached the last post in reviewing Václav Havel's essay “The Power of the Powerless”. In the previous post we described how when we live within the lie--when we automatically go along with the status quo--we create an illusion of universal assent which helps us to become obedient. So how are we to resist this pressure? Plus, how does Havel's analysis help us think about the uniquely spiritual aspects of spiritual warfare? Let's return to the situation of the greengrocer described by Havel in the last post. When we last left the grocer he was hanging posters of patriotic paraphernalia on his walls. And by doing so the greengrocer was propping up the illusion of universal consent. Let us know imagine that one day something in our greengrocer snaps and he stops putting up the slogans to ingratiate himself. He stops voting in elections he knows are a farce. He begins to say what he really thinks at political meetings. And he even finds the strength in himself to express solidarity with those whom his conscience commands him to support. In this revolt the greengrocer steps out of living within the lie. He rejects the ritual and breaks the rules of the game. He discovers once more his suppressed identity and dignity. He gives his freedom a concrete significance. His revolt is an attempt to live within the truth. The greengrocer has not committed a simple, individual offense, isolated in its own uniqueness, but something more serious. By breaking the rules of the game, he has disrupted the game as such. He has exposed it as a mere game. He has shattered the world of appearance, the fundamental pillar of the system. He has upset the power structure by tearing apart what holds it together. He has demonstrated that living a lie is living a lie. He has broken through the exulted façade of the system and exposed the real, base foundations of power. He has said the emperor is naked. And because the emperor is in fact naked, something extremely dangerous has happened: by his action, the greengrocer has addressed the world. He has shown everyone that it is possible to live within the truth. 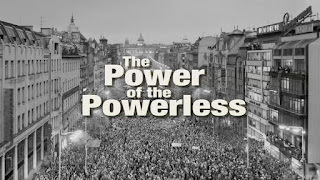 [T]his confrontation does not take place on the level of real, institutionalized, quantifiable power which relies on the various instruments of power, but on a different level altogether: the level of human consciousness and conscience, the existential level…Therefore this power does not rely on soldiers of its own, but on the soldiers of the enemy as it were—that is to say, on everyone who is living within the lie and who may be struck at any moment (in theory at least) by the force of truth…This power does not participate in any direct struggle for power, rather it makes its influence felt in the obscure arena of being itself. This is the spiritual liberation that must accompany political emancipation. For the truth, Jesus said, will set you free.